The world needs more of this. 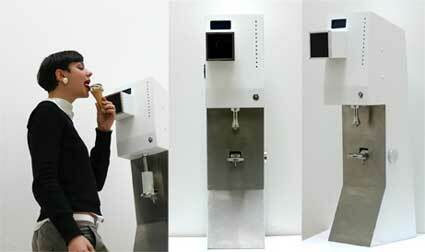 Machines that can understand how you feel so that they can give you fattening foods. The future has finally arrived! "Employing voice stress analysis of the user’s answers to specific questions, varying degrees of unhappiness are measured and the counteractive quantity of ice cream is dispensed: The more unhappy you are, the more ice cream you need."